This article is a collection of basic Linux commands and procedures relevant to using your embedded system. Note: This article is meant as an overview to get you started, thus you may find useful to search for more comprehensive tutorials, guides and manuals over the internet. 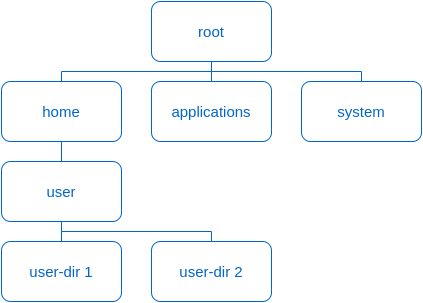 This section aims to introduce you to the basic Linux commands touch, cp, cd, ls, mv, mkdir, rm and pwd, as well as some concepts regarding directory structure. 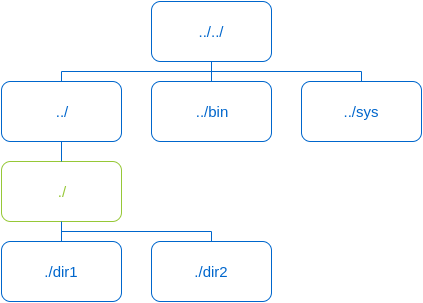 Note: This step explains the directory structure for a Linux environment. You might skip it once this is a theoretical step. Click the button below to show. ~ is the home directory. 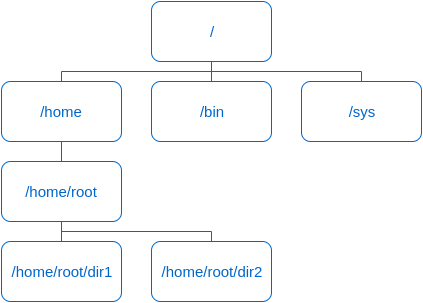 For the Toradex modules, it is always the /home/root directory. Please go back to the home directory before proceeding to the next step. 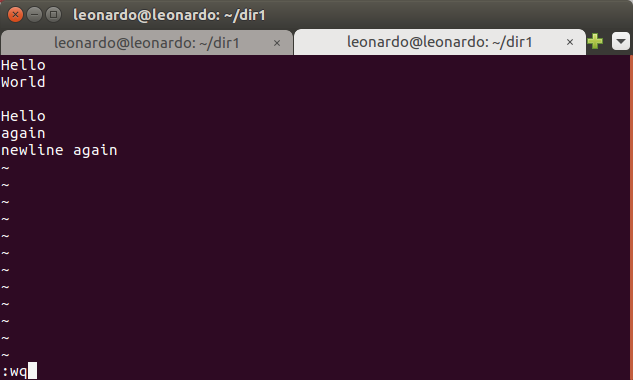 Note: Use the ls command in the next step to verify the directories contents. 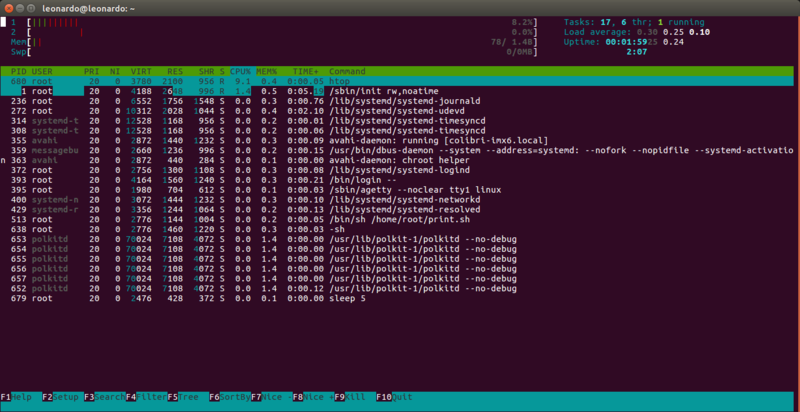 Use the rm command to delete a file or directory. Warning: The process is not reversible, so be careful to not delete something important! This section explains how to read and write to a file directly from command-line and also using a text editor. Use the echo command to write to a file from the command-line. Note: This command will be useful to set/configure hardware features from the command-line, although it is limited for text files editing. Use the cat command to read a file from the command-line. Note: Vi and also the Vim editor have many features and commands. Search the web if you want to dive deep into learning how to use them. When you open the application, you are in the normal mode and cannot edit the text. Press the "i" key to enter the "insert" mode. Then you can edit the file as you will. This is the command for write -> quit. Press the "n" key to browse through the occurrences. This sections describes how to search for a specific file and how to search a directory for specific file text contents. To search for a file that has a specific text as content, you can use the grep command. 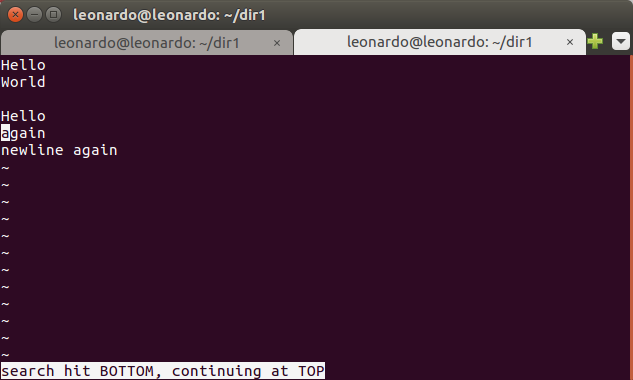 Grep is useful not only for file contents search, but also as a filter to the output of other commands, for instance. This section describes how to compress and decompress folders using the tar command. It does not cover all the possibilities, only some of the most commonly used. tar -cjvf compressed.tar.bz2 -C ./dir1 . tar -cvf compressed.tar.gz -C ./dir1 . There are two relevant date/time clocks in Linux: the hardware date/time, usually referred to as real-time clock (RTC) and the system date/time. While the command timedatectl takes care of synchronizing both of them, usually the date command is used to get the system time, due to its simpler output. The hwclock command is commonly used in systems that don't have a program such as timedatectl to synchronize the system and hardware clocks. Note: Hwclock usage will not be presented. For hwclock and also more date and timedatectl usage, please use the option --help, as in hwclock --help. In this chapter you will learn how to create a shell script, run it in the background and kill it. A simple script that prints a string to the terminal every 5 seconds will be used as an example. Warning: The line #1/bin/sh is not a commented line! It tells that the application used to execute the script is /bin/sh, therefore you must not erase this line. Note: Press CTRL+C to stop the script, or any command-line application, from running. Sometimes there are applications that don't exit on CTRL+C such as the vi text editor, but in general it works. The second output column will print the process ID (PID). Note: For this specific case, you could use the fg command to bring the process to the foreground and then use CTRL+C to stop it. 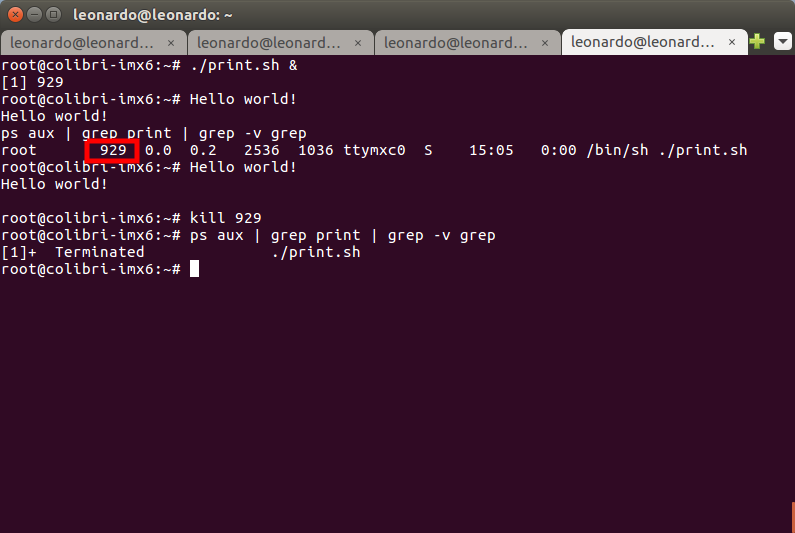 Note: Behind the kill command, there is the concept of Unix/Linux signals. You may want to search in the web for more information. 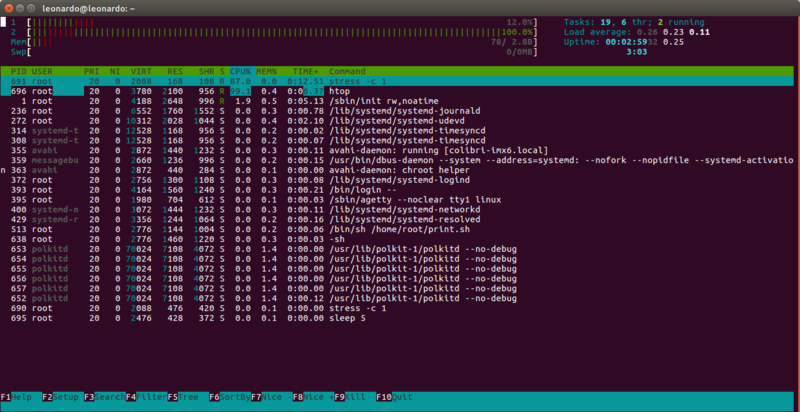 Htop is an interactive process viewer for Unix systems. It is not the only option available (there is also top) but it was chosen for this how-to because of its user-friendly interface. It presents system status and statistics, such as: CPU and RAM usage (the pre-built images have swap disabled by default); system tasks; load average and; uptime. Below the overall status, all of the system tasks are listed, as well as their individual resources usage and other relevant information. 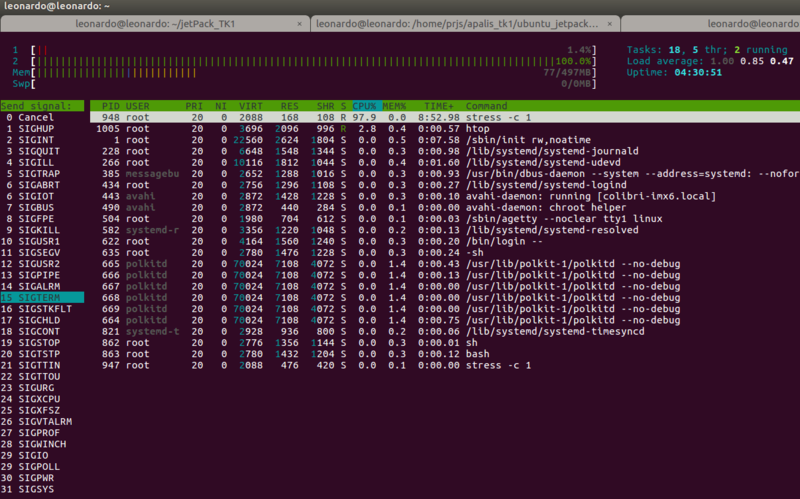 Note: To exit htop press F10. Select SIGTERM and press ENTER to kill the process. Note: When using the kill system call without parameters, as in the previous step, it sends a SIGTERM to the process. In this section, a service that runs a script at system startup will be created. Start the script manually for the first time and see its status. 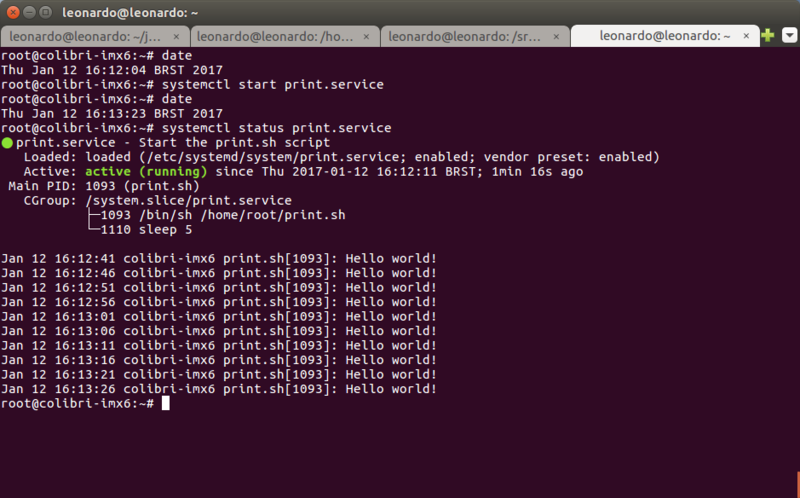 Notice that the script doesn't print directly to the terminal, since a new shell session is created by the service. This section describes how to change the login password. This section shows how to download files from the web using wget. Warning: Your embedded system must have internet access. The file will be downloaded in the present directory. OPKG is the package manager for the Ångström distribution. This section shows how to list, install and remove packages.